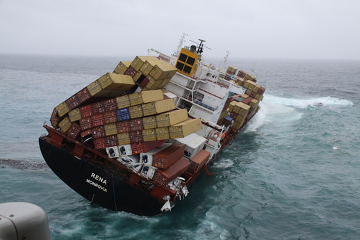 There is no doubt shipping containers are tough. Built tough from weathering corrugated steel, these incredible building blocks of international trade are designed to withstand stacking, stuffing and strapping. They are build to be used over and over again. There is an estimate of over 18 million of these containers floating, riding and flying around the Earth today. Not including the lost at sea cargo containers. Today these containers have been revamped to contain a more precious cargo, people. The average size is going to be roughly 8x8 ft and 20-40 ft long. This may not sound like a whole lot of space, so architects and home designers are using these containers to create a new type of home. 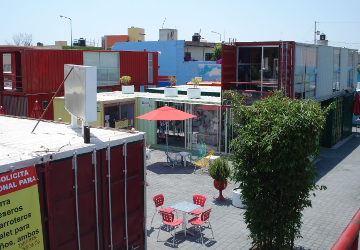 Some incredible shipping container Homes. 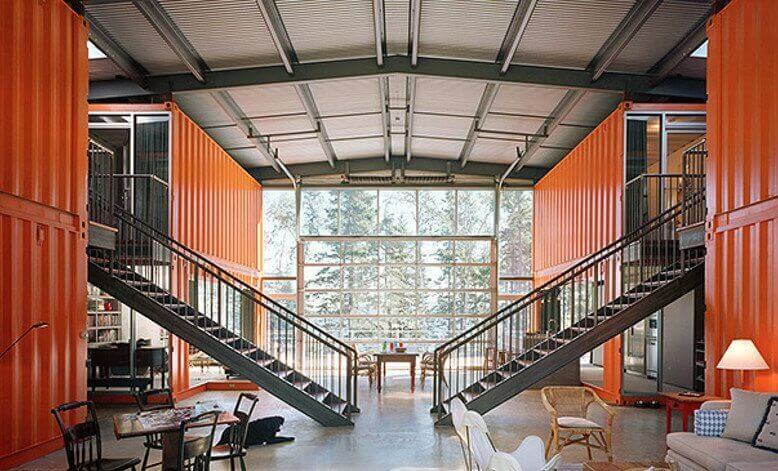 These shipping containers are stacked vertically to create a four different floors. 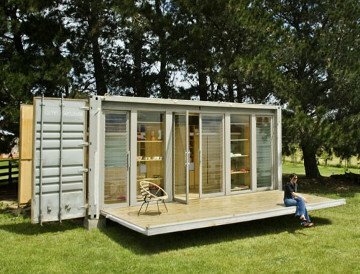 Pieter Peelings and Silvia Mertens are two talented architects who have designed these compact living container homes. Each one of the four rooms serves a specific function and purpose. 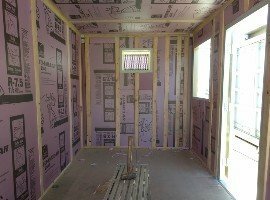 Just as in a normal built home. There is a spiral staircase that goes through the four floors from the bottom office all the way up to the bedroom. The design might not look very convenient, but the amount of saving in cost of living and the landscape for some is definitely worth it. This beautiful home appears to be built from high cube shipping containers. This type of unit can be used for homes, apartments, office and work spaces. 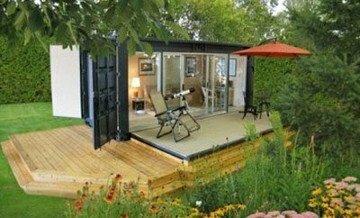 This is an incredibly affordable modular container home that is designed for customization. This is the type of space that designers would like for their investors to be able to customize aspects that they may want to change from the original design. This type of home is built to store and retain heat and conserve energy. Some designs may even include a balcony and interior customization. Your shipping container home delivered to your property in one piece ready for you and your family. 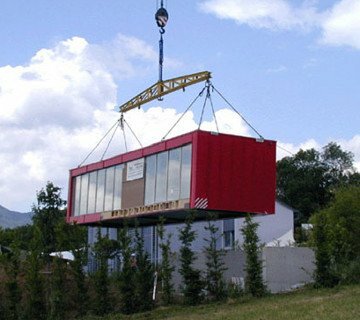 Have a plan to built a new home from shipping containers? 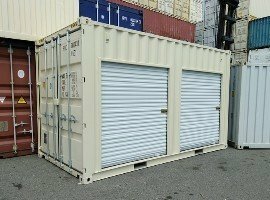 Please feel free to contact us as we carry all types and sizes of shipping and storage container. 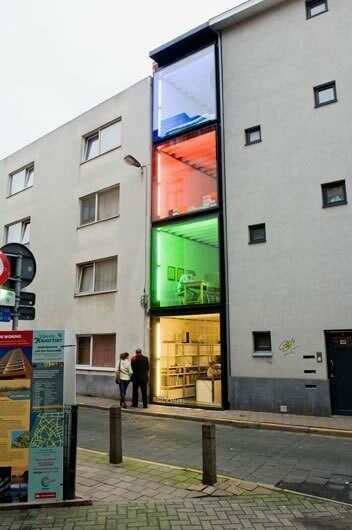 Another perfect design for a single shipping container "Conex Box" home, this one is called Port-a-bach. A portable, peaceful retreat like design to have low-impact on the surrounding landscape. This unit can either be placed on site by helicopter or delivery truck, then it connects simply to local utilities. Smart and Interesting residence unfolds to sleep two adults and two children and of course has a bathroom and kitchen and storage space too. Energy efficiency is a huge deal these days, if you're one who is interested in eco friendly options, we've got the one for you. This container home is a way from the efficient homeowner to get away from crazy things in the world. 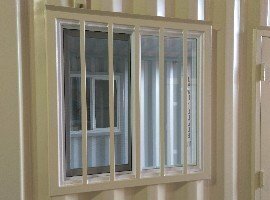 It is easily transported and includes a secure lock safe for when being moved into remote areas. The power in this home is derived from and 80-watt solar panel. The flooring is made from rubber which is made from recycled materials, such as used tires. 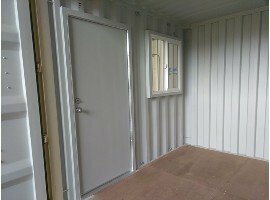 Contact us today for all your Shipping Container home needs. You're here looking for shipping container home right?